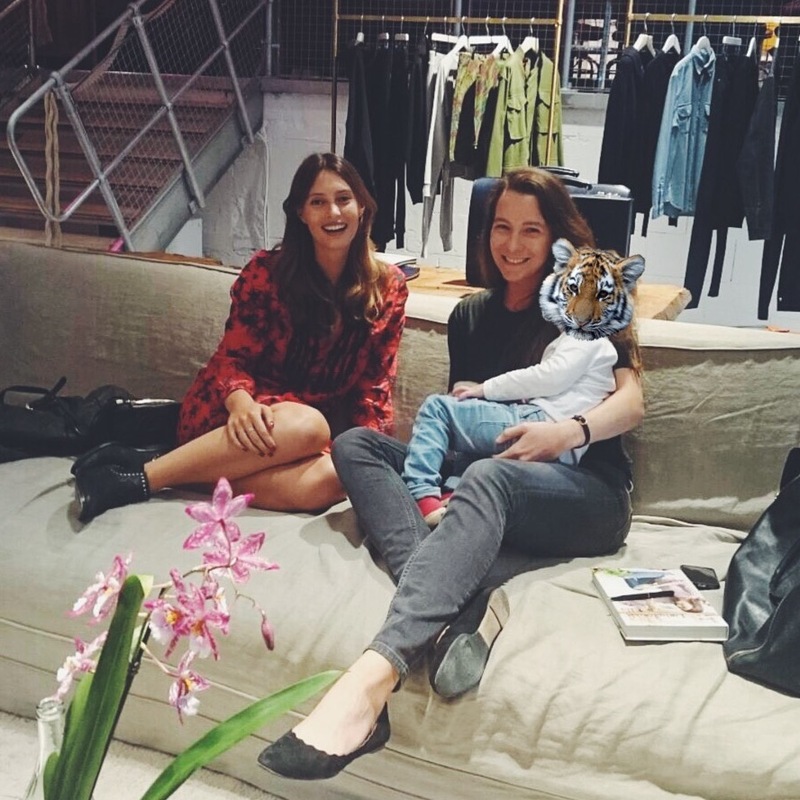 Ich habe ja selten so etwas wie einen Fan-Moment, aber bei der warmherzigen und schönen Ella Woodward, Bloggerin und Autorin von “Deliciously Ella”, war ich wenige Stunden vor unserem Einzel-Interview zum Launch ihres Buches im Soho House Store doch ziemlich nervös. Ella ist gerade mal 24 Jahre jung und führt schon seit ein paar Wochen die Bestseller-Listen mit ihrem neu erschienenen Kochbuch für einfache, glutenfreie und vegane Köstlichkeiten an. Auf Instagram folgen ihr mittlerweile fast 560K Fans und ihre Rezepte werden auf der ganzen Welt nachgekocht und auf den Social Kanälen geteilt. Healthy eating war noch nie so im Trend und mit ihrem Buch als Inspirationsvorlage fällt es auch gar nicht schwer ein ganzes Menü mit rein natürlichen Produkten zu kochen. Ich muss ja nun selbst auf Gluten verzichten und ernähre mich vegetarisch, was viele Menschen um mich herum immer wieder kritisch beäugen oder belächelnd fragen, was ich denn überhaupt noch essen könnte. Durch Ellas Blog hat sich mein Speiseplan noch mal um viele Leckereien erweitert und so gehören zu meinen Lieblingsgerichten zum Beispiel die Zucchini Noodles mit Avocadocreme und gebratenen Pilzen, die simplen, aber sehr leckeren Süßkartoffelecken, ihr cremiges Gemüsecurry, das Risotto mit Butternut-Kürbis und ein Broccoli-Avocado-Salat. Alle Gerichte sind schnell und vor allem mit wenigen Zutaten nachzukochen. Denn für mich gibt es nichts schlimmeres, als stundenlang durch spezielle Supermärkte zu laufen, um nach einer Zutat zu suchen. “Deliciously Ella” ist das erste Buch, das nicht im Regal neben den anderen Kochbüchern verstaubt, sondern, das offen in der Küche liegt, damit ich immer wieder neue Rezepte ausprobiere. Und wer sich nicht rein vegan ernähren möchte, kann ja immer noch die ein oder andere Zutat ersetzen, aber das Schöne daran ist, dass man wirklich keine Sahne, Milch oder Butter bei den Gerichten vermisst – sie sind auch so wunderbar lecker und cremig und erwärmen das Herz. So wie Ella das mit ihrer offenen Art eben auch tut. Im Interview verriet sie mir, mit welchen Produkten sie ihren Signature Look schminkt, wo sie sich gerne pampern lässt und wo man in London grandioses Porridge essen gehen kann. Ari: You are traveling a lot for your book tour. What’s in your make up bag right now? Ella: I keep it pretty simple. I’ve never been a huge beauty person. I always bring a facial moisturizer. Dr. Hauschka is amazing for skin care. And then there is this awesome natural skin care brand called Pai in the UK. I really like their Chamomile and Rosehip day cream too. And of course I bring coconut oil. I use it for everything, for example as a hair mask – because when you have to rush and blow dry your hair it gets dry easily so I use coconut oil in the ends or just a body moisturizer. You can also mix it with brown sugar and oats for a scrub (recipe here). I am using coconut oil for everything – even for taking my makeup off. What else? For make up I use mostly RMS Beauty products. I love their eye shadows and highlighter. Ari: Oh, I also love their eye shadows! Which one do you like best? Ella: It’s a light and shimmery color. And it’s gorgeous on the lids. Ari: Isn’t it called “Solar”? Ella: Yes, I think so! Ari: It’s my absolute favorite too! Ella: And I just got their mascara. That I am a big fan of too. And of course I love blusher from RMS as well – so boring, I know! I don’t like wearing much make up, but I really think these work so well to brighten up your face. Yeah, I would say those are my go-to make up products, that always end up in my bag. But I haven’t found a natural eyeliner I liked yet. Ari: Try the dark brown one from Tromborg – it’s a scandinavian brand. The kajal is really nice and stays on. I am using it too. Ella: Oh thank you! Haven’t heard of it. Gonna check it out. Ari: How do you look after your skin? What’s your daily routine? Ella: It’s pretty simple. I wash my face, moisturize and then I try to get a facial every two months. Ari: And when did you start using organic skincare? Was it the same time you decided to eat gluten free and vegan? Ari: That’s really nice! I wish I would be so consistent. Ari: Where do you like to shop organic beauty stuff? 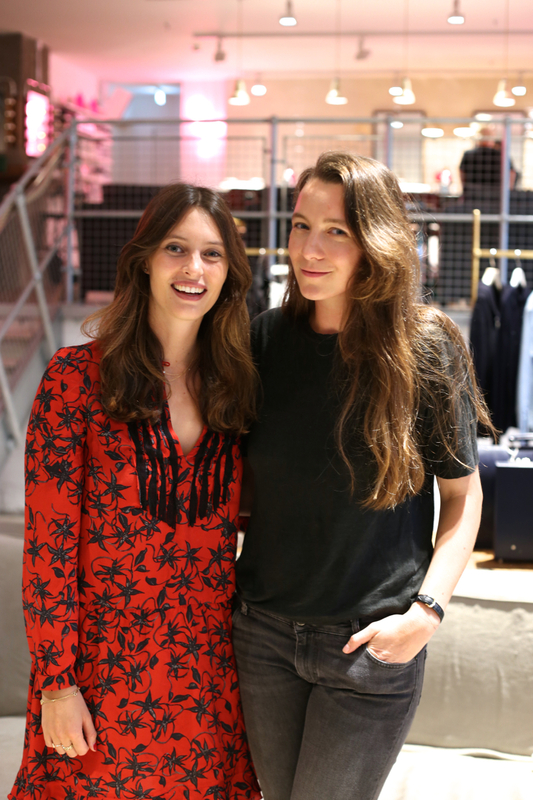 Ella: I like to shop at Content Beauty in London. It’s literally just a treasure chest. It’s all natural natural things for your whole body and the staff there really knows their stuff and I always come out with way too many products. Ari: How do you take care of your beautiful hair? It looks so healthy and shiny. Ella: Thank you. I found this all natural brand called Faith in Nature. They have lots of different variations, but I use the coconut shampoo and conditioner. It just smells so delicious. So that’s mainly what I use. Otherwise I put some coconut oil in my hair as a hair mask. Ari: And who cuts your hair? Ella: Aww, to be honest, I haven’t quite committed to any hair dresser yet. I really don’t like getting a cut. I always get so scared. Ari: Do you have any sort of super beauty food? Ella: It’s not just one thing. It’s a mix of different things, that have good fats – like Avocado, nuts and coconut oil – that really helps. I also like really hydrating things. And juice, yeah, my green morning juice is the most important. Ari: Three products you cannot live without? Ella: Dates, Avocados and anything sweet. Probably energy balls. I definitely got a sweet tooth. Ari: What are your favourite spots for gluten free and vegan food in London? Ella: “Nama” in Notting Hill – everything is raw, but it’s beautiful and not weird and hippie. Their food is amazing. It’s probably my favourite. Then there is this place called “Mildreds“. It’s the oldest vegetarian place in London and it’s much more fun and not niche at all. Also my friend Alex just openend a Porridge Bar “26 Grains”. She lived in Copenhagen for a year and really got inspired by the danish porridge „Groed“. It’s really cool. And there is loads of great juice bars in London. Ari: Who is your beauty or style icon? Ella: Honestly, I don’ t have one. Ari: What is your preferred spot to pamper yourself? Ella: There is the place called Aromeratherapy Associates which is all about aromatherapy. They have really nice treatment rooms and warm beds with duvets on them. And because of all the different oils it’s smells amazing in there. That’s my ultimate treat. Ari: You started running recently. What else do you do to stay fit? Ella: Yes, I am trying. I do a lot of yoga and then I love spinning. Because there is loud music and you cannot think of anything else. And then some pilates, I do some boxing and weight training. But right now I am into yoga, spinning and running. But I am not sure how long that lasts. Ari: Do you wear any fragrance? Ella: No, not really. I do love all the Jo Malone fragrances, but I like to keep things natural and I never came across a nice natural scent. So I do have a Jo Malone one, if I go out and want to feel a bit fresher. Ari: What’s your go-to lipstick color? Ella: Oh, I got a really nice one recently from a company called Ilia Beauty. I don’t know what the shade is called, but it feels very nice and stays on for a while. Ari: And what color are you wearing on your nails today? Ella: My nails are one thing I don’t go natural on. There is a really nice and cheap manicure place right by my house and I love to go there every week. I just love getting my nails done and at that place down the road they are so cute and friendly. So that’s my kind of treat. I think the color is Big Apple Red from O.P.I. Ella: Yes, I know, but sometimes I have the feeling they just don’t last so well. What makes you blush/ glow? (laughs) I think it’s just about balance. 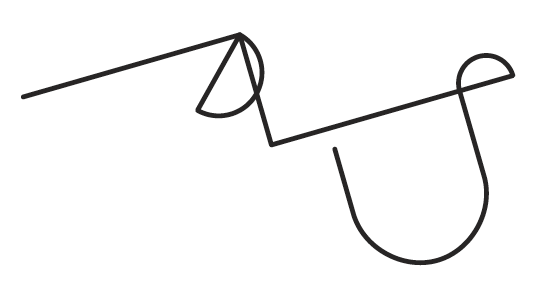 I honestly think you just got to be happy and balanced. Ari: You do have a great fashion sense. What are your five wardrobe staples? Ella: Black skinny jeans, either silk shirts or cashmere jumpers, leather jacket and boots. Ari: Your dress is so cute. What are your wearing today? Ari: Last but not least. Do you have any certain plans for Berlin? Ella: I am going to stay with my fiancé until Sunday and I got loads of great tips for restaurants and stuff from my followers. So we are definitely going out, explore and try out everything. Ari: Thank you so much for your time! Have a great time in Berlin! Ella: Thank you so much for your time! Previous Post MAKE UP OF THE DAY // IS SUMMER OVER YET?